Frequent Flyer programs the world over reward members with increased benefits the based on flights and spend, and Velocity Frequent Flyer is no different. In this guide, we examine how Velocity membership status tiers work and explain the key benefits available. Plus, we’ll show you how you can use elite Velocity membership status to travel in comfort and style when you fly Virgin Australia and partner airlines in 2019. The Velocity Frequent Flyer program operates on a familiar premise – a multi-tiered membership system, delivering a range of valuable benefits that are based on the amount of time spent in the sky (and to a lesser extent, on the amount of spend with selected partners on the ground). How does it work? 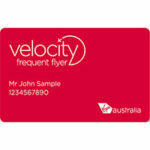 Upon joining Velocity Frequent Flyer, you’ll commence your journey at the base level of Velocity Red. As you work your way up the ranks, depending on how much you travel, you’ll hit Silver, then Gold, finally reaching the holy grail of Platinum, enjoying rewarding benefits along the way. Acquiring a certain number of status credits. An ‘Eligible Sector’ is a Virgin Australia marketed flight (with a VA flight number) and one that is not booked as Reward Seat on points (ie. you need to have paid for the ticket as a revenue seat). In order to progress up the levels of the Velocity Frequent Flyer program, it’s important to understand that Status Credits are key. Status Credits are separate from Velocity points. Essentially, they are a measure of your flying activity on Virgin Australia and eligible partner airlines. Every time you fly on eligible flights, you earn Status Credits. Once you reach the threshold criteria to progress to a higher Velocity membership status tier (eligible sectors and status credits), your membership will be upgraded and the clock starts ticking for 12 months from that point. To retain a level beyond the initial 12 months, you’ll need to continue flying and actively spending to collect points and status or you’ll slide backward. As can be seen, Velocity status requires 20% less status credits to retain, so once you’ve locked your status in, it’s easier to hold it. Read on to discover the benefits of the individual Velocity membership levels. All members of the Velocity Frequent Flyer program start here. As the base level Velocity status membership tier, Virgin Australia actually omits it from their information page. Upgrade Requests: These can be made on certain fare classes up to 2 hours prior to departure. Advance Seat Selection: Seats can be selected by Velocity Silver members at booking or check-in time. Preferential Seating: Seats can be selected from a reserved zone of seating available to those holding Velocity Silver status. Priority WaitList: Put yourself on the waitlist for Virgin marketed domestic and Virgin Samoa flights. UpgradeMe points: Use your points to upgrade to a Business Class seat on Virgin domestic flights or on International Shorthaul flights and Virgin Samoa. Not all classes of fare support this. Virgin Australia Lounge members or single entry passes can also request an upgrade up to 40 minutes before the flight. Priority Check-in: On Virgin International flights Velocity Silver members can use the Priority counter. Virgin Australia Lounges: Velocity Silver status grants two Single Entry Lounge passes and the opportunity to purchase a deeply discounted annual membership to the Lounges for $300, saving $330. Complimentary Baggage Allowance: Travel to the USA entitles you to an additional piece of luggage with the weight dictated by your fare class. In general Silver status delivers an additional piece of luggage across the board. Almost all of Virgin Australia’s partner airlines offer benefits to Velocity Silver members and above. This may include priority check-in, increased baggage, screening, boarding or lounge access. Given these constantly evolve, it is important to check the Velocity website prior to flying. 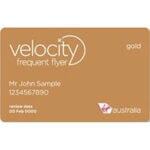 Velocity Gold status is considered by many to be a ‘sweetspot’ in the program. Once you’ve reached this status level, you’ll gain access to the Virgin Australia and Partner lounge network. You’ll also start to enjoy increased priority over other passengers in some aspects – it’s all about convenience and leveraging Virgin’s global alliances. UpgradeMe points: Velocity Gold status unlocks the ability to use points to upgrade to a Premium Economy or Business Class seat on Virgin marketed and operated flights to Los Angeles (LAX) and Hong Kong (HKG). Not all classes of fare support this. UpgradeMe points: An increased number and types of fares are available for Velocity Gold members to upgrade across the Virgin Australia network. Priority Check-in: On Virgin operated International flights, those with Velocity Gold status can use the Business counter. Priority Boarding and Screening: Enjoy priority for Screening and Boarding at most major domestic airports, which Virgin enforces. Virgin Australia Lounges: Complimentary access for the Velocity Gold member, a guest and two children aged between 3 and 12. Premium Entry and valet Parking: In Sydney (T2) and Brisbane directly access the Virgin Lounges, optionally use Valet parking and access a private reception desk. Melbourne Lounge Premium Exit: Exit to gates 1-10 via a dedicated security screening point. International Lounge Access: Velocity Gold status unlocks access to 150 international lounges within Virgin Australia partners and alliances. Fly-aheads: Velocity Gold members can check in at the Virgin reception desk to see if it’s possible for the primary member and up to 3 guests to fly on an earlier flight. Ensure you have carry-on only luggage. Some ticket classes are precluded. Priority Baggage: Velocity Gold baggage will have priority coming off the carousel. Guaranteed Economy Reward Seats: Once a year, those holding Velocity Gold status are able to redeem 4 seats return in Economy to any destination in Australia on Virgin. You’ll need to book six months in advance and can pay using points or points and pay. Cover-More, Airport Parking, Brunel Limousines, Virgin Australia Holidays and Cruisepilot offer a 75% points bonus on top of base points earnings. Europcar, Hertz or Thrifty in Australia & New Zealand offer 5.25 points per $1 spent in Australia and New Zealand. Etihad Airways offers a 50% points bonus. Once you’ve hit Velocity Platinum status, you’ll enjoy the highest tier of perks available in the program. Platinum unlocks a range of useful travel benefits that could have you travelling in style. In particular you may find real value in Hilton HHonors Diamond status and a companion membership. It’s fair to say you’ll be a serious flyer or points collector if you’re in this status bracket and you have probably already familiarised yourself with some of the benefits on your way up from Velocity Gold status. Economy X Seat Selection: The primary Velocity Platinum member and one companion can select seats with extra legroom and preferred overhead locker space on Domestic and International Shorthaul flights. UpgradeMe points: Velocity Platinum members are entitled to four upgrades per year to Business Class when flying on a Freedom fare. This includes Domestic, Trans-Tasman or International Short Haul flights marketed and operated by Virgin Australia. UpgradeMe points: A further increased in the number and types of fares available to upgrade across the Virgin network. Priority Economy Seat Purchase: Velocity Platinum membership unlocks the ability to purchase two seats on any booked out Virgin marketed and operated flight by midday of the day prior. A great feature for last minute travel. Fly-aheads: Access to this service is extended to allowing Velocity Platinum members the ability to use the Virgin Guest Contact centre to request it. Virgin Australia Lounges: Platinum status holders may access Virgin lounges the same day upon arrival. Guaranteed Economy Reward Seats: Once a year, Velocity Platinum members are able to redeem 4 seats return in Economy to any destination in Australia or internationally on Virgin marketed flights. You’ll need to book six months in advance and can pay using points or points and pay. Companion Gold Membership and Platinum Membership: By earning an additional 500 status credits over and above what’s required to renew your Gold status, you can gift a Gold membership to a companion of choice. The same can be done for Velocity Platinum status, with 1,000 status credits over and above required. Cover-More, Airport Parking, Brunel Limousines, Virgin Australia Holidays and Cruisepilot offer a 100% points bonus on top of base points earnings. Europcar, Hertz or Thrifty in Australia & New Zealand offer 6 points per $1 spent in Australia and New Zealand. Etihad Airways offers a 75% points bonus. Above and beyond the benefits outlined above, there are a range of benefits available across the Velocity Frequent Flyer program. All status tiers from Velocity Silver upwards receive a points bonus multiplier on top of the base points you earn when travelling on Virgin Australia, International Trans Tasman, Short Haul and Long Haul flights. The bonus points also apply to selected International Partners, however specific criteria applies (check the Velocity website). Family Pooling: You can choose to pool either Points or Points and Status Credits into one account. Up to six family members in one household address can participate (up to two adults and four children under the age of 18). This is a particularly useful benefit, that can see you reaching elite status sooner. In contrast, Qantas only allows for family member points transfers. Membership Pause for Parental Leave: Silver, Gold and Platinum Velocity members can pause their membership to allow for the birth of a new child. Evidence needs to be presented. Global Wallet: Velocity membership cards also double as a pre-paid multi-currency Visa debit card, the Velocity Global Wallet. You can earn points when you spend with the card, as well as pay in up to eleven currencies. The Velocity Frequent Flyer program is a powerful and rewarding tool for those who are able to leverage it through flights and spend. By moving up the membership tiers, it’s possible to benefit from a range of valuable perks, including lounge access. Attaining Silver status is relatively easy – it doesn’t require too much effort other than a few regular flights and some managed spend. But in our opinion, reaching the lofty heights of Velocity Gold or above is where the real sweetspot lies. A Velocity Gold or Platinum membership unlocks access to lounges, elite status and other perks that will help to make your travel an enjoyable and comfortable experience. Of course, there is significant cost involved in reaching a higher Velocity membership tier – so before reaching for the clouds, it’s important to consider whether the outlay is worth it. After all, you could earn Velocity points and then use them to book a Velocity Business Class flight or trip instead.